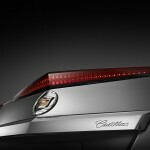 Cadillac unveiled the 2011 CTS Coupe slated to arrive in Cadillac showrooms in the spring of 2010. 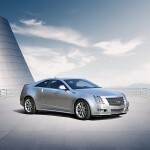 The CTS Coupe is a new luxury sports coupe designed to become the centerpiece of the brand’s revised lineup. 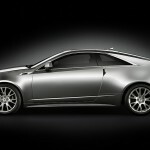 The Coupe joins the CTS Sport Sedan, the 556-horsepower (415 kW) CTS-V and new CTS Sport Wagon as the foundation of Cadillac’s lineup. 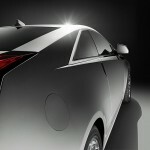 A high-performance V-Series edition of the Coupe will also be released in 2010. 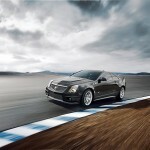 The CTS Coupe’s standard powertrain consists of a direct injected 3.6L V-6 and six-speed manual transmission. A 6-speed automatic transmission with Driver Shift Control (and available steering wheel mounted shift buttons) is optional. Direct injection technology delivers fuel more precisely to increase the efficiency of combustion, enabling more power while maintaining fuel economy and lowering emissions – including a 25-percent drop in cold-start hydrocarbon emissions. 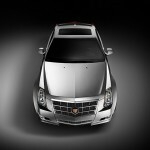 Take the CTS coupe and add a “V” and you get Cadillac’s newest, 556-hp offering. 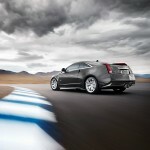 The 2011 CTS-V coupe powermill will be an LSA 6.2-liter, supercharged V-8 engine. A raised center section of the hood provides clearance for the engine’s Eaton supercharger. The car will come with a six-speed manual transmission supplied by Tremec or a Hydra-Matic six-speed automatic with paddle shifters on the steering wheel. 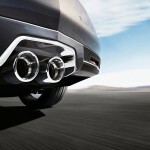 The engine produces 551 pounds-feet of torque. 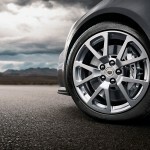 The rear-wheel-drive car accelerates from 0 to 60 mph in 3.9 seconds. Other performance equipment includes Brembo brakes and suspension sensors that gather information every millisecond to adjust damping. 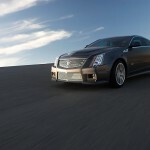 The driver can keep the suspension in touring mode or switch to sport mode for performance driving. 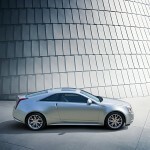 Pricing for the CTS Coupe was announced today by GM. 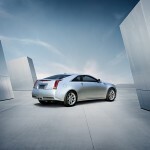 MSRP for the hot coupe is a cool $38,990 (including destination charge). 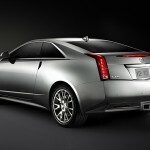 The 2011 Cadillac CTS Coupe goes on sale in early August in the United States. 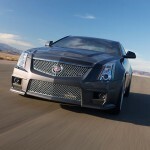 Available in rear-wheel and all-wheel drive, CTS Coupe comes standard with a 3.6L Direct Injection V6 engine that delivers 304 horsepower. 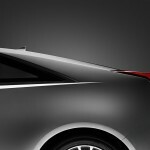 This engine is available with a six-speed automatic or six-speed manual transmission. 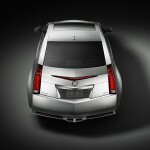 V-Series which stickers for $62,990.